Hosted by the Pacific Region communities of the U.S. Green Building Council, GreenerBuilder is a one-day conference and expo for green building professionals. The annual event unites all of the key players in greening the Pacific Region’s built environment—including architects, engineers and contractors—to discuss industry trends, new research and emerging technologies. GreenerBuilder is where you can get the strategies and tools to help create a more sustainable future in the region. Some of New York’s tallest towers are doing the most harm to the environment. Although buildings larger than 25,000 square feet only represent two percent of the city’s stock, according to the Urban Green Council that minority is responsible for up to half of all building emissions. 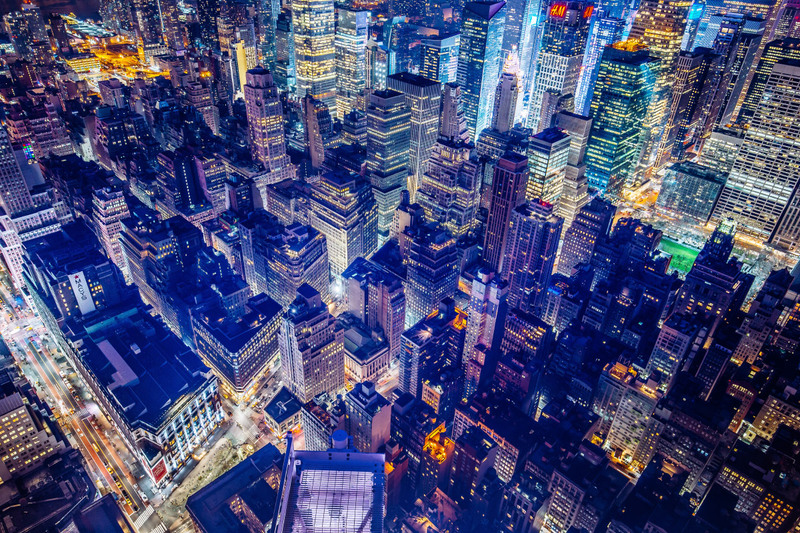 Now the New York City Council is finally cracking down on the worst offenders, and New York will soon become the first city in the world to constrain large building emissions through hard limits. Yesterday the council passed the eight-bill Climate Mobilization Act, a legislative package that some are comparing to a New Green Deal for New York. The Climate Mobilization Act, which Mayor de Blasio is expected to sign, would set increasingly harsh limits on carbon emissions for buildings over 25,000 square feet beginning in 2024. According to the Urban Green Council, New York City produces 50 million tons of carbon dioxide a year, and buildings account for approximately 67 percent of that—meaning buildings over 25,000 square feet produce 35 percent, or about 13 million tons of carbon dioxide, a year. The legislation covering the affected 50,000 buildings will roll out in phases. This year, an Office of Building Energy and Emissions Performance and an advisory board will be created at the Department of Buildings to both regulate and enforce the new standards. When the law fully takes effect in 2024, emissions from qualifying buildings will need to be reduced 40 percent from 2005 levels by 2030. The Climate Mobilization Act then takes things one step further and requires that these same buildings slash their emissions by 80 percent by 2050. Why are large buildings such energy hogs? Lighting, heating, cooling, and tech requirements, combined with inefficient equipment, all constrained within leaky envelopes, have combined to create a perfect storm of waste. Retrofitting these massive buildings to use or waste less energy is projected to potentially create thousands of jobs for architects, energy modelers, engineers, and construction workers, as everything from inefficient windows to HVAC systems will need to be replaced. For those structures that can’t be brought up to code on schedule, their owners can offset a portion of their emissions by purchasing renewable energy credits. If an owner still isn’t in compliance, they can be hit with an ongoing fine based on their actual emissions versus the cap. The real estate industry had been a vocal opponent of the measure, arguing that it would place an undue burden on both it and tenants. “The overall effect is going to be that an owner is going to think twice before she rents out any space: ‘Is the next tenant I’m renting to going to be an energy hog or not?’” Carl Hum, general counsel for the Real Estate Board of New York (REBNY), told the New York Times. “There’s a clear business case to be made that having a storage facility is a lot better than having a building that’s bustling with businesses and workers and economic activity.” Still, those fears appear unwarranted. Part of the Office of Building Energy and Emissions Performance’s job will be to work with landlords and tenants and issue variances for buildings with higher energy requirements. BuildingsNY is sponsored by ABO (Associated Builders and Owners of Greater New York), CHIP (Community Housing Improvement Program), The AIA, NYARM, ASHRAE LI, and a host of other industry supporters. BuildingsNY is the single source, full product life-cycle solution to safely and cost-effectively operate your buildings with a unique combination of an exhibition, no-cost accredited education, partnership opportunities, and networking events. All education sessions will be moved to the show floor, creating three Learning Theaters. Updated Advisory Council consisting of building professionals who shape the industry. New partnerships with a wide range of media, as well as strengthening the relationships with current supporters. Back by popular demand! Tech Tank Pavilion will feature new buildings technologies. Source the next big product or service that can revolutionize building operations as we know it. Unlimited access to the complimentary Lead Retrieval App, which allows you to easily collect, qualify & download the contact details of the customers you meet at BuildingsNY. Education Sessions for 2019 will focus on profitability, compliance and managerial excellence. You'll leave with a fresh perspective on how to solve problems, increase efficiencies, unlock saving and keep your buildings at their peak. “What if you could download and print a house for half the cost?” reads the lede for the Vulcan II, a 3D printer with a name suited for sci-fi space exploration, on the website of Austin-based company ICON. Now the company has put this claim to the test, building what it says is the first permitted 3D-printed home in the United States, unveiled during SXSW. Using its original Vulcan gantry-style 3D printer, the firm collaborated with global housing nonprofit New Story to build a 650-square-foot home, which features separate bedroom, living, bathroom, and kitchen areas. The home, called the Chicon House, was printed in under 24 hours and while this test cost around $10,000, the firm estimates that future single-story homes, which could be as large as 2,000 square feet, could be printed for thousands less, around $4,000–$6,500. According to New Story CEO Brett Hagler, there is a pressing need to “challenge traditional [building] methods” to combat housing insecurity and homelessness. He adds that “linear methods will never reach the over-a-billion people who need safe homes.” ICON hopes to leverage the technology to help combat global housing crises all while being more environmentally friendly, resilient, and affordable. The printers use a proprietary “Lavacrete” concrete composite, which is made of materials that can be easily sourced locally and has a compressive strength of 6,000 pounds per square inch. The material is designed to withstand extreme weather conditions to minimize the impact of natural disasters, according to the firm. Wood, metal, and other materials can then be added on for windows, roofs, and the like. The printer relies on an “automated material delivery system” aptly called Magma, which blends the Lavacrete with other additives and water stored in built-in reservoirs. The Lavacrete’s composition is custom-tuned to the particular conditions of each location, accounting for temperature, humidity, altitude, and other climatic features. While 3D printing has been used in a number of architectural experiments over the past few years, it is primarily used as a prefabrication tool, with parts printed offsite to be assembled later. ICON argues that printing a whole home at once with a gantry printer is faster and more reliable. Printing the whole home reportedly provides a continuous thermal envelope, high thermal mass, and extremely little waste. The printers, which are transported in a custom trailer, are designed to work in areas where there is limited access to water, electricity, and the infrastructure necessary for traditional construction techniques—although, at least currently, it seems that some more standard construction is needed to finish off the 3D printed walls and turn them into a home. The Vulcan II is operated by a tablet, has remote monitoring technology, and built-in lighting for building overnight. A specialized software suite helps convert CAD drawings into printable forms. ICON has also begun licensing its tech to others. Austin-based developer Cielo Property Group plans to start production of affordable housing in Austin this year using the Vulcan II, The Wall Street Journal reported. Toronto is known for many great things. Its weather isn’t one of them. For the city's architecture the question is: how can public, urban space be usable and comfortable throughout the year? The architecture collective PARTISANS thinks it might have an answer. Referencing the “maze of awnings…and glass arcades” that defined Toronto streets in the late 19th century, the firm has designed an adjustable awning, somewhat-humorously called the "Building Raincoat," that could be installed to protect the sidewalk (and its users) from the elements. Intended to be applied onto any building, or perhaps pre-planned in new construction, the ethylene tetrafluoroethylene (ETFE) structure latches onto the facade and to street pavers to create a protected space that remains transparent and lightweight, but still maintains the necessary durability to handle any meteorological assault. The Building Raincoat's four layers of EFTE help regulate sun exposure, and the spaces between the two interior layers inflate and deflate automatically to shift the opacity of the surface in order to regulate temperature under the canopy. The firm expects the Building Raincoat to double the number of daylight hours that can be comfortably spent outside each year. Cofounder Alex Josephson told Sidewalk Talk, the publication of Sidewalk Labs and Waterfront Toronto's joint effort Sidewalk Toronto, which hosted a presentation of the prototype of the building raincoat earlier this week, that PARTISANS took inspiration from other similar architectural typologies, like inflatables, that have been used to deal with space in experimental ways. The team iterated an array of possible structures before deciding on the three main qualities they needed: organic, folded, tensile. The raincoats have been developed in collaboration with structural designers Maffeis Engineering and environmental engineers RWDI, which have expertise in sustainability and in climate-conscious architecture. To arrive at the right stable, comfortable, and aesthetically pleasing form, the collaborators have leveraged computer modeling tools from the get-go, integrating them into the design process, rather than just using them during later testing phases. Leveraging these technologies, they’ve developed what Josephson calls a “toolkit,” an array of different related shapes and systems that can be adaptably deployed and maneuvered. “This is real experimentation where the scientific method meets design,” Josephson told Sidewalk Talk. In addition to providing adaptable protection from the elements, engineer Gonçalo Pedro of RWDI said that the Building Raincoat acts as a natural extension of the space it is attached to. It creates flexible transitions and gradations between inside and outside, public and private. While still in the experimental phase, the team hopes that the building raincoat can help shape and shift our relation to public space, allowing us to occupy the street together as much as possible. This month, they've put it to the test and have installed a version of the Building Raincoat at 307, Sidewalk Labs' Toronto headquarters. Join us on the 2019 Spring Equinox for the 3rd Annual EQUINOX Symposium. Established in March 2017 as a platform to advocate the United Nations Sustainable Development Goals, the annual EQUINOX Symposium is dedicated to socio-economic-ecological impacts of sustainability. The initiative advances a diverse set of interdisciplinary programs -- catalyzing local and global collaboration among institutions of higher education, professionals, policy makers, stakeholders, community members, and advocates. Can you imagine a world without waste? A world where the leftovers of today are easily turned into a delicious dinner tomorrow? 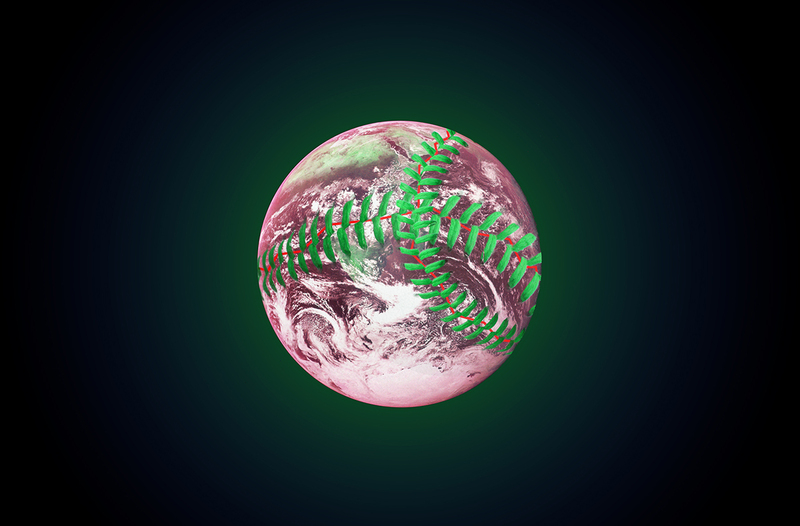 Can such a world be designed? Such was the premise and the promise of the symposium Wasted: Design for the End of Material as We Know It, held at Cornell University’s College of Architecture, Art, and Planning on March 8 and 9. The event’s organizer, Caroline O’Donnell, challenged practitioners, educators, and students not to wait until the end of a product’s life to passively recycle it. Instead, the entire lifecycle of materials could and should be accounted for at the beginning of the design process. In response to this prompt, the audience was treated to a wide variety of methods for reducing the production and consumption of new architectural resources. These were often framed and diagramed in the context of a “circular economy,” a system of exchange where the refuse of one practice becomes the raw material or capital for the next project or investment. 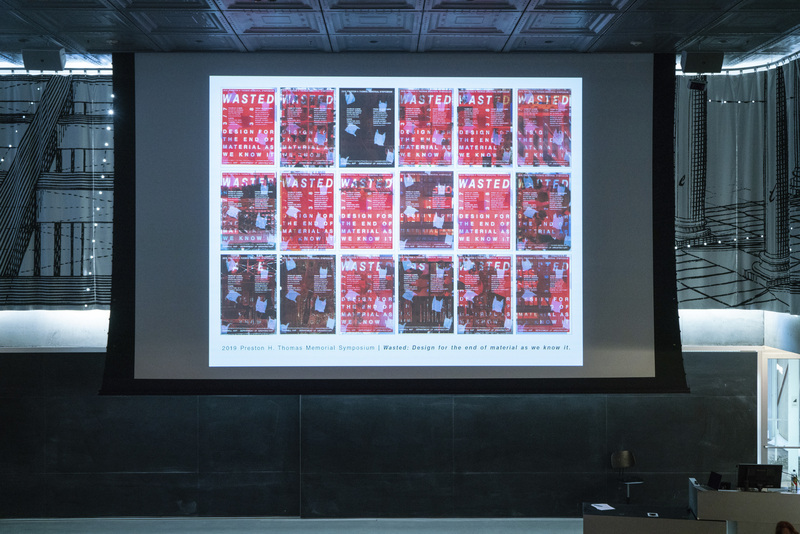 Some proposals echoed the efficient forms and goals of modernism; Peter Van Assche, Sabine Rau-Oberhuber, and Billie Faircloth showed projects where the disassembly and reuse of building components were integral to the design. These schemes recalled the logic and the style of the Eames House, and of Walter Gropius’s General Panel Corporation from the 1940s. Juliette Spertus’s investigations into a faster, cleaner mode of moving garbage in cities via pneumatic tubes directly updated the systems approach to planning of the 1960s. Even Michael Ghyoot and The Living’s David Benjamin references to spolia, the ancient practice of mining elements from otherwise obsolete buildings, was positioned via the optimizing framework of digital cataloguing techniques. Other examples, like Meredith Miller’s “Post-Rock” project, presented a more playful if not more menacing vision of what living in a world made out of other people’s garbage might be like. Similarly, the strange, slumped, and bio-degradable designs shown by Maria Aiolova and David Benjamin offered an uncanny version of planned obsolescence, one that challenged the architectural myths of stability and perpetuity. The mycelium-based materials they have developed are designed to disappear back into the earth, literally nurturing it rather than defiling it. All present seemed to agree that what needs to be thrown away is the idea of waste as an inevitable byproduct of the design and construction process. Instead, waste was consistently repositioned as a resource to be creatively used. Clearly, there are many ways of designing with waste; some ways can make do with DIY tools and software, while others will need large capital investments. Also shared was the ethos of not taking no for an answer—not from city planners, or industrial and material engineers, or from business managers and consultants. Changing the status quo requires the development of even more optimistic acts of architectural disobedience. Surely, more of these can be imagined and designed. Today more than 600 citizen-architects are lobbying on Capitol Hill in Washington, D.C., to advocate for public policies that promote school safety and improved energy saving in buildings across the United States. As part of Grassroots 2019, an annual conference for AIA chapter leaders, these architects will meet with 135 members of Congress and 197 Congressional staff spanning 358 House districts in all 50 states. This event comes after the AIA has become more vocal in recent years about amping up architects' role in policymaking. Under 2018 AIA President Carl Elefante’s leadership, the organization pushed for members to take a seat at the table by getting involved with local efforts to create safer, healthier, and more equitable cities. Through both the individual efforts of its members as “architect-activists” and the overarching authority of the AIA itself, the group has put more stake into the public realm than ever before. From most recently coming out in support of Alexandria Ocasio-Cortez’s Green New Deal, to proposing legislative ideas that ensure safe school design to senior cabinet members at the White House, the AIA has not been shy about making sure elected leaders hear from architectural experts regarding some of the country's biggest problems. In November, the organization outlined six key issues it would address with the new Congress in 2019, two of which are being tackled on the Hill today. Of course, not all of the AIA's outspoken moments have satisfied all of its members. At times, people have taken to social media and other venues to oppose the national group, or to castigate the group for staying silent on design-oriented national issues. In recent months, however, the organization has seemed to be more committed to political advocacy. Today's collective meetings bring AIA representatives from across the country—real, diverse practioners—to D.C. to share their experience both living and working in the built environment. Not only that, but hundreds of local architects are also meeting with state officials to discuss these issues while others are using the AIA's virtual portal to express their voices. 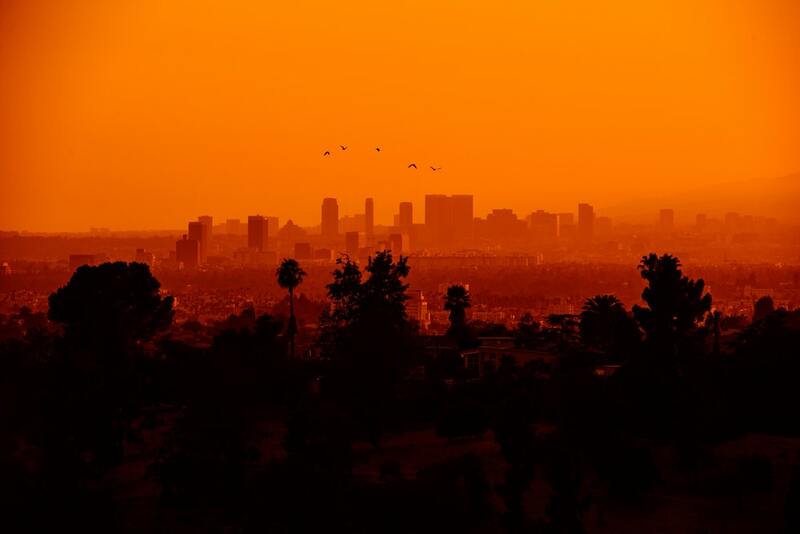 While politicians in Washington, D.C., spar over the estimated costs of implementing a Green New Deal, California’s Building Decarbonization Coalition (BDC) is making a plan and taking action. The Sacramento-based group recently released a report, A Roadmap to Decarbonize California Buildings, which sets out a series of guiding principles and quantitative targets that could help the state meet its aggressive emissions reductions standards. As BDC’s name suggests, the group has targeted buildings, which in California produce roughly 26 percent of total carbon emissions, as a key area for improvement as the state works to eliminate carbon emissions entirely by 2045. California’s greenhouse gas emissions peaked in the early 2010s at nearly 500 million tons of pollution per year and have dropped slightly every year since. California even met its 2020 emissions goals several years early, mainly as a result of the ongoing build-out of previously-planned renewable energy infrastructure and due to the realization of energy conservation goals, among other efforts. But now, with the low-hanging fruit picked, reality is starting to set in: The road to zero emissions is going to be long and hard-fought, and California needs a concrete, coordinated plan to achieve its ambitious and necessary climate goals. But don’t let those early gains fool you. Despite the progress, Panama Bartholomy, BDC director said via press release, “building emissions spiked 10 percent nationally in 2018, driving one of the largest national emissions increases in decades.” Bartholomy added, “Yet even here in California, the nation’s climate leader, there is no plan in place to address these emissions.” The BDC hopes to change that. While state legislators work steadily to make increasing density—which will reduce transportation-related emissions—a higher priority in California’s cities, BDC aims to fine-tune the ongoing use, operation, and maintenance of the new and existing buildings that fill those cities. It is expected that California’s building stock will increase by 30 percent between now and 2045, a key opportunity to lock-in carbon emissions savings for the long term if all goes according to plan. A key approach for achieving this aim in the building sector, according to the group, is to reduce and eventually eliminate the reliance on natural gas-powered appliances like stoves, furnaces, water heaters, and other elements in new construction and in existing buildings as they are upgraded over time. This way, as the state’s energy grid draws more of its juice from renewable sources, emissions will fall two-fold due to a decrease in the use of dirty fuels in appliances as well further savings generated through the production of the new green energy sources that power them. As with many of the efforts to transition toward a zero-emission society, however, the challenges are cultural as well as technological. Conventional construction methods and business operations favor fossil fuel-powered appliances, for example, while consumers harbor their own preferences for gas stoves and other household items. To shift tastes and practices, BDC advocates for incentives over punitive measures. The group’s three-pronged effort seeks to first spur new demand in renewable powered appliances via new policies, public information campaigns, and financial incentives that support wider adoption of sustainable approaches. Once that demand is built up, the group advocates for lowering costs of individual products, like high-efficiency heat pumps, for example, through additional financial incentives so that cleaner technologies and appliances can compete with conventional approaches across price points. After that, the group envisions targeted informational and incentive campaigns that ensure wide adoption of these approaches by low-income and other hard-to-reach groups. 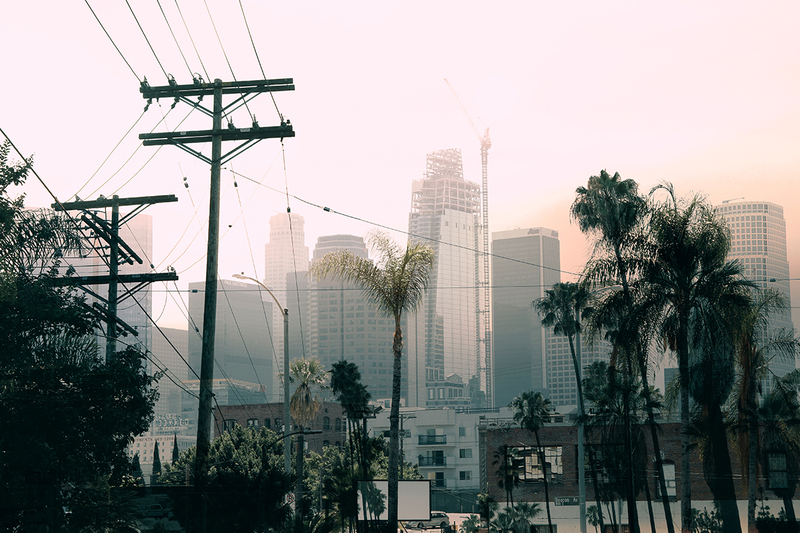 With debate over national decarbonization strategies taking shape, keep an eye on California’s efforts to rework its building sector. Crucial lessons are sure to emerge as the plan comes to life. Cities have made a remarkable comeback, however large swaths of their populations are being left behind. Developers, lenders, advocates, and policy makers work to mitigate these disparities by creating innovative solutions and opportunity through equitable development. Now more than ever, new approaches are required to make cities places where individuals and families can thrive. At the center of making this work are initiatives that put equity at their core and strive to find the right mix of public, private, nonprofit, and grassroots policies, investments, and strategies that serve the needs of all residents and workers. In Building Better Futures: Innovations in Equitable Development, U-M Taubman College will convene experts at the forefront of designing, financing, developing and promoting better buildings, better outcomes and better futures for all across race, income, age, ability, household type and geography. This conference will examine the ground-breaking policy mechanisms, design innovations, and financial incentives that connect communities, build wealth, and create frameworks to promote equity across demographics. Join us as we investigate, define, and present solutions for social and equitable development to build better futures. “The way we cool our buildings right now is totally wrong,” said Indian architect Monish Siripurapu in a video produced the United Nations' Environment program. The words are bleak, but arguably true; the electricity and hydrofluorocarbons most modern cooling systems demand ironically warm the planet overall while they cool our conditioned spaces. On top of that, with global temperatures rising and worldwide populations growing, demands for cooling are only increasing. More eco-friendly options are urgently needed, and Siripurapu’s New Delhi–based firm Ant Studio has proposed an affordable, scalable, sustainable, and aesthetically appealing solution to the problem of air conditioning. 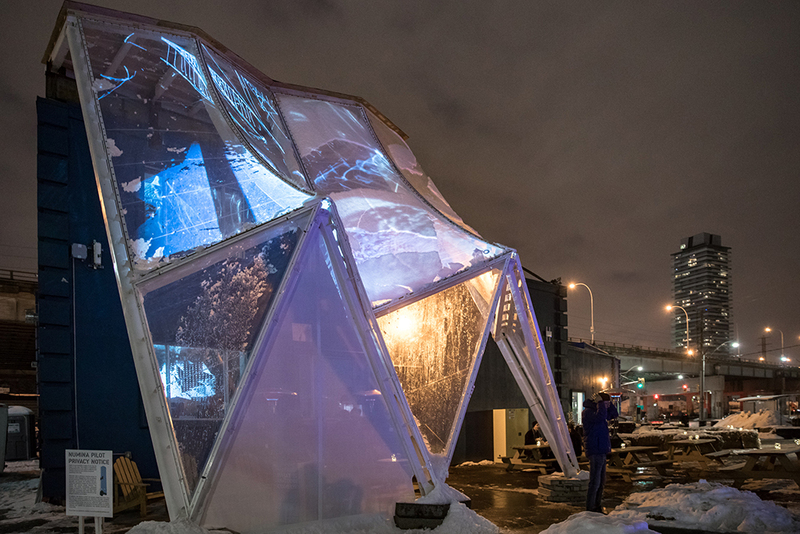 Ant Studio’s mission is to combine “art, nature, and technology,” and its temperature-regulating solution is designed to be as much an art installation as a cooling system. The Beehive, as the system's first iteration is called, was built to ameliorate high-temperature conditions for laborers at the Noida, Uttar Pradesh–based manufacturer Deki Electronics, where generators and other equipment output their own heat, adding to high outdoor temperatures. The Beehive is part of a larger exploration by the firm that leverages terracotta tubes and water as part of a low-energy cooling system. The Beehive, so-named for its honeycomb-like structure, follows an Indian tradition of using earthenware to cool water. “Traditional architecture has so much wisdom,” said Siripurapu. The ancient process has been wholly modernized, with tools such as computational fluid dynamics modeling, as well as the addition of low-energy water pumps and, if needed, electric fans. But instead of using fans with the Beehive installation, Ant Studio’s cooling device was placed right in front of the exhaust vents of the diesel generator near where workers at the factory were active. This was able to drop the “scorching” air being expelled from the generator from 122 degrees Fahrenheit to 97 degrees Fahrenheit, while lowering the overall temperature in the area and reportedly consuming 40 percent less energy than other cooling systems, not to mention using no refrigerants. 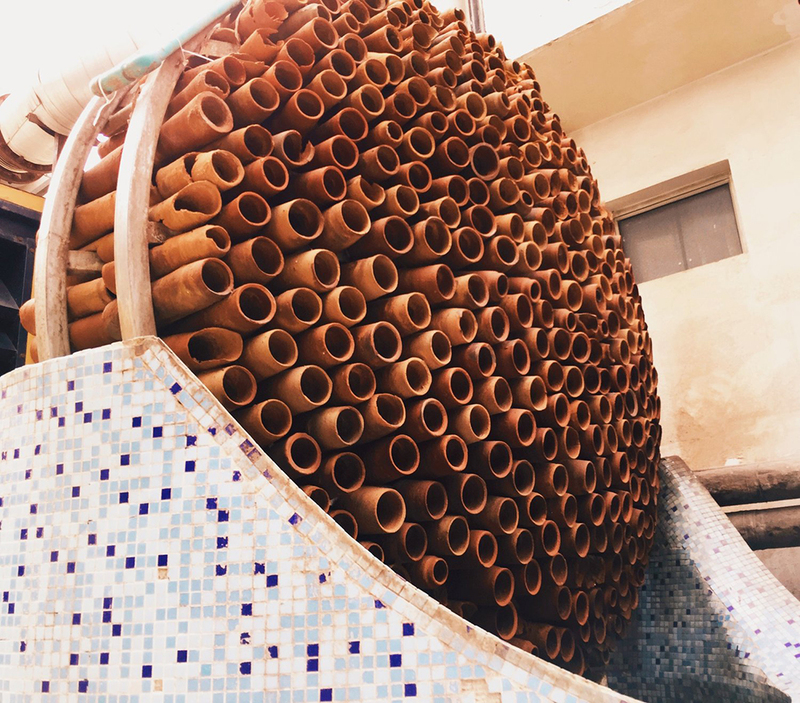 The cooling system consists of arrays of open terracotta cylindrical cones (designed in such a way to maximize surface area and fired at “mid-level” temperatures to maintain the clay’s ability to absorb moisture from the air) over which water is poured. The water, which adheres to the clay, naturally lowers in temperature due to evaporative cooling, which in turn cools the air passing through the tubes. The water can be recycled throughout the system, requiring only infrequent topping off, and biofilms of microalgae that grow on the clay surfaces can actually aid in air purification, according to the firm. Further, as explained in an informational video from the firm, “all materials are recyclable, reusable, or biodegradable.” While the Beehive at Dika Electronics took on a particular nature-inspired form, the system can be designed in all manner of shapes and sizes, and is inherently modular, making fabrication and assembling on-site simple. The overall hope with the project is to devise a system that is “functional and visually appealing at the same time.” Ant Studio views the cooling systems as a work of sculpture as much as a functional tool. The terracotta cooling systems also could have broader social impact. Besides being a cheap, energy-efficient way to cool factories and public spaces, the craft required to manufacture the tubes creates local employment and skill-building opportunities. It also keeps alive traditional manufacturing techniques that provide a unique, hand-hewn character that industrial cooling systems certainly lack. The clay-based materials also mean a net reduction in embodied energy for these cooling systems. Ant Studio has also proposed a smaller system which they’re calling ETHER, a cooling device for personal use and small spaces that resembles something like a cross between a Dyson fan and an ancient artifact. Ant Studio’s cooling projects were one of the twelve winners of the United Nations’ Asia-Pacific Low Carbon Lifestyles Challenge and have been nominated for the Clean Energy Challenge from What Design Can Do, a “platform” and series of global conferences on design. Nominated teams are given the “opportunity to improve their project” with the final winners to be announced on March 6. We applaud the efforts of Congress and its committees this week to find new ways to support achieving a carbon neutral future by 2030, which is critical to our global future. By investing in infrastructure, upgrading the existing building stock, and improving resilience in the built environment, we can make progress towards AIA’s 2030 Commitment goals. However, there’s a great deal of work that needs to be done. AIA encourages Congress to swiftly enact public policies today that will address the dire consequences we’re facing. The statement comes just days after a non-binding draft resolution calling for the wholesale decarbonization of the American energy grid was unveiled by New York congressional representative Alexandria Ocasio-Cortez and Massachusetts senator Ed Markey. Last week The Architect’s Newspaper spoke with architects from around the country to gauge what they would like to see included in an eventual plan. 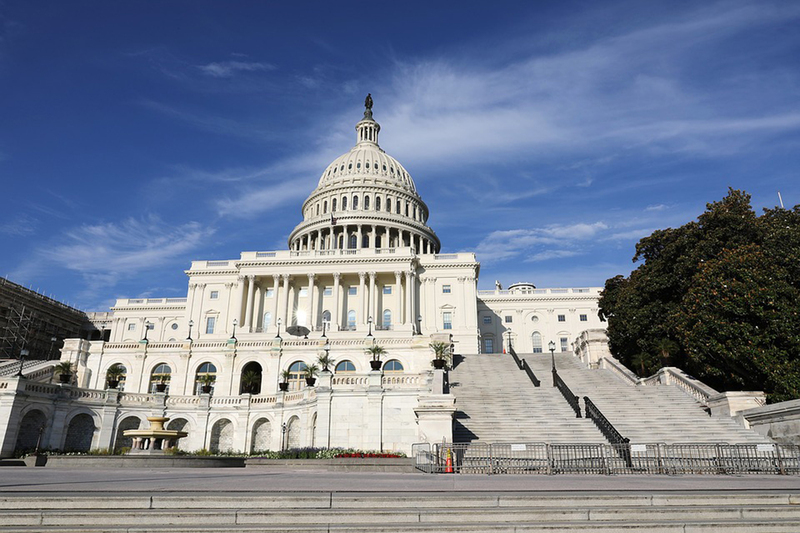 According to the AIA press release, AIA members are scheduled to visit Congress on March 6 to advocate for legislative action on a range of initiatives related to climate change, resilience, and energy efficiency. As currently planned, the AIA delegation is scheduled to meet with several House and Senate committees, including the Energy & Commerce, Transportation & Infrastructure, Energy & Natural Resource, Environment and Public Works committees as well as the recently reinstated Select Committee on the Climate Crisis in an effort to “to achieve measurable outcomes.” AIA’s support for the GND follows the adoption of the organization’s 2030 Commitment, a program that seeks to “transform the practice of architecture in a way that is holistic, firm-wide, project based, and data-driven” by prioritizing energy performance in order to make America’s building stock carbon neutral by 2030, a goal that is roughly shared with the preliminary GND legislation. A draft of the GND legislation calls for “upgrading every residential and industrial building for state-of-the-art energy efficiency, comfort, and safety,” among many other goals.